Most heat pumps use a single or dual speed compressor. This means it is ether off or on. Our DC Inverter Heat Pump uses the industry’s best compressor, a variable speed DC Panasonic EVI compressor. This DC motor runs at the exact speed it needs for the optimal efficiency. In this way the DC heat pump averages 30% more efficiency versus a standard unit. This is very important as the compressor consumes the bulk of the energy requirement for a heat pump. By reducing the energy of the compressor the COP (co-efficiency of performance) is greatly increased. 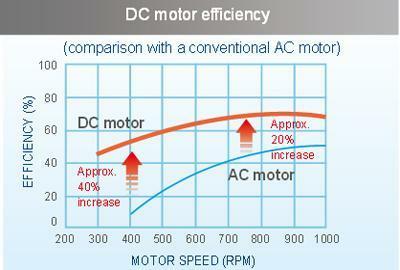 The Brushless DC fan motor and PFC control the running capacity and require no start up capacitor. By not requiring constant starting and stopping involved with conventional motors, our motor both reduces required input energy and reduces “wear & tear” on the compressor. Better Temperature control - Most compressors turn on and run until they exceed the set point, then they will turn off until they drop below a set point. This leads to hot and cold fluctuation in room temperature and longer run times. With a DC Inverter Heat Pump variable speed compressor, we are able to reach the desired room temperature much quicker as our compressor can kick into high speed right at the beginning. Once the desired temperature is reached, our compressor will then throttle back and maintain the desired temperature, only supplying the exact amount of energy as needed. 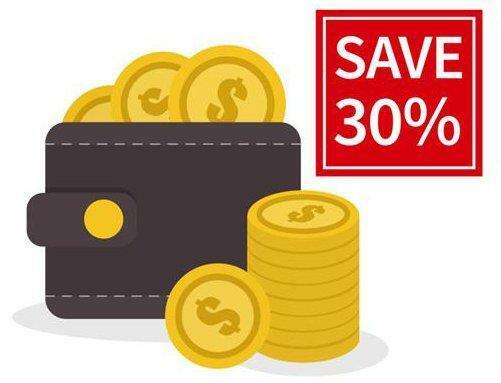 This greatly improves comfort while reducing operating costs. 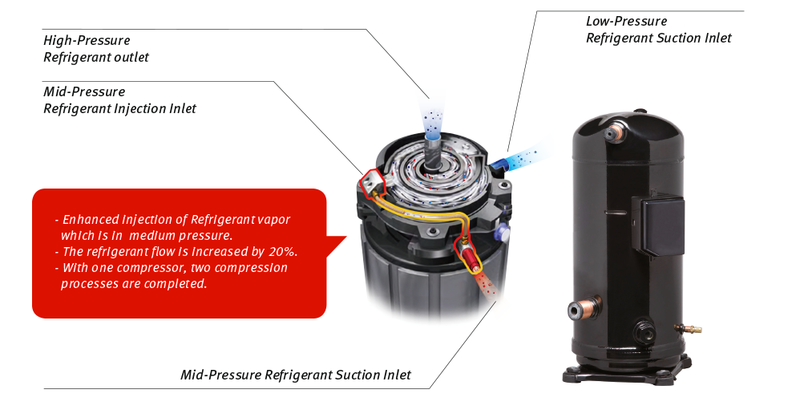 EVI stands for “Enhanced Vapor Injection” and is a technology used on our cold climate heat pumps to achieve higher performance at lower temperatures. An EVI heat pump uses a 3rd smaller internal plate heat exchanger called an “Economizer” within the refrigeration cycle. 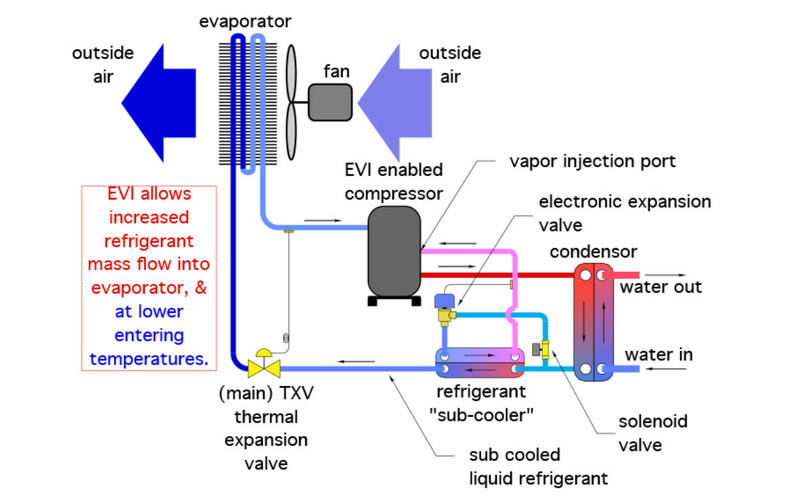 By utilizing a bypass valve some of the hot refrigerant vapor on the condenser is bypassed to a HX which combines with the colder gas on the Evaporator expansion side. 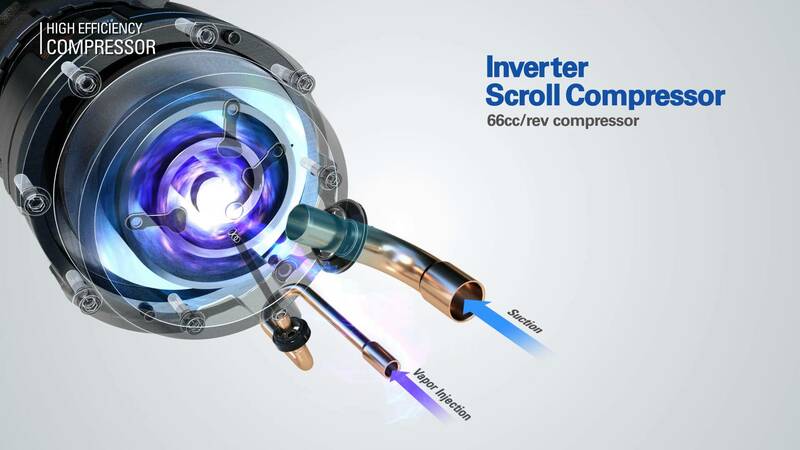 The heat energy is transferred raising the gas temperature even further which is then injected at mid-range pressure into the head of the scroll compressor through a separate vapor injection port. Using EVI heat pump technology, we are able to overcome the limitation of maximum flow temperature that other cold climate heat exchangers encounter. 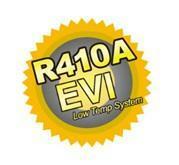 EVI Heat Pump technology allows more heat to be delivered resulting in a better COP at much lower temperatures. 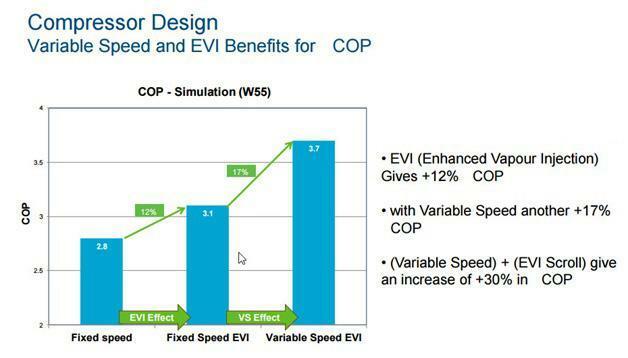 The EVI technology increase performance efficiency by 27-30%.